On the rocks or neat. Old Fashioned or Manhattan. Face it, your spirit of choice is whiskey, and you enjoy the smokiness, butterscotch, caramel, oak flavors that are so distinct in this drink. If that's already getting you thirsty, then you need to check out what I believe are the five best whiskey cocktails in LA. The Wallace - "Cowboy Killer"
Griff's cowboy whiskey, chocolate chili bitters, tobacco, and hickory smoke - that's The Cowboy Killer at Culver City's, The Wallace. 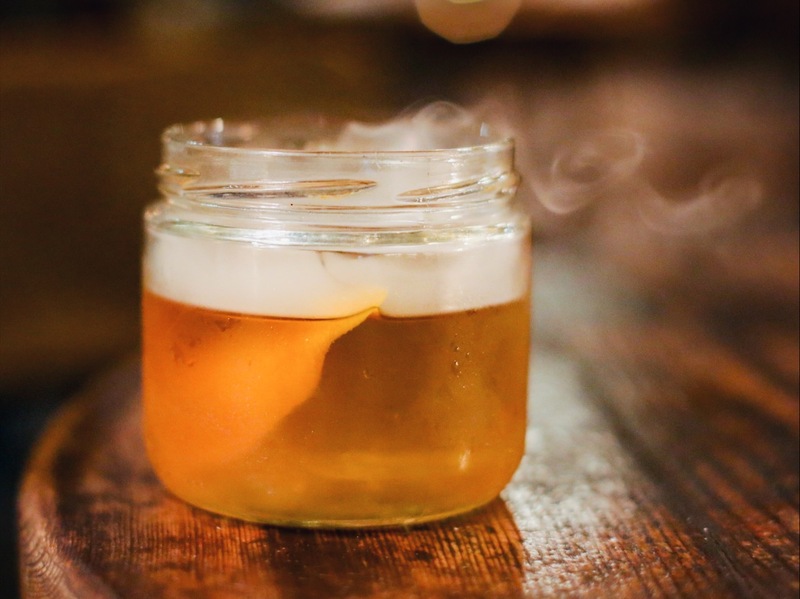 The drink is served in a small mason jar with a sealed lid to lock in that smoke. Uncap and enjoy a jolt of liquified nicotine and put the cap back on in between sips to keep the smoke from escaping. This drink is not for the weak, so cowboy-up and see if you can hang with it. One of the most well balanced and interesting whiskey cocktails in town is the Wolfskill from the Godfather of cocktails homself, Vincenzo Marianella. Located at one of downtown Santa Monica's best spots for casual food and drinks, The Independence serves this two-tone cocktail on the rocks. The magical elixir consists of Bourbon, Mezcal, rhubarb liqueur, elderflower liqueur, and Jerry Thomas Bitters. If you enjoy old fashioneds, this might be a new go-to for you. The Wolfskill is featured on and off the permanent menu, depending on the season, but if you don't see it, just ask and the kind folks at The Independence will be happy to make it for you. Sotto - "Field of Dreams"
The "Field of Dreams" cocktail at Sotto in Beverly Hills is as cool and sophisticated as the Italian restaurant itself. Served up, this drink is made of WhistlePig Rye, amoro foro, and cocchi americano. On the sweeter side, (think Manhattan) but still well balanced with the more pronounced flavor of the rye, this drink in this environment will make you feel like you're in some exclusive, underground supper club. Venice newcomer Wallflower is one of the most underrated restaurants in Venice. 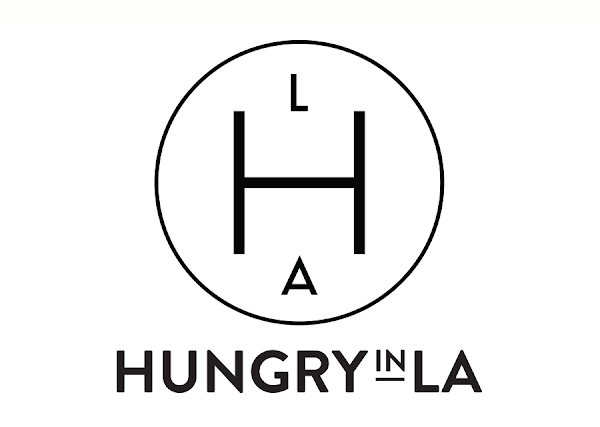 Sure people flock to the Instagram-popular locales of other "famous" establishments in this neighborhood, but Wallflower is doing something special on Rose Avenue with delicious Indonesian flavors and an incredible cocktail program. The "Huo" is one of our favorite cocktails in the city! Yes, it's that good! 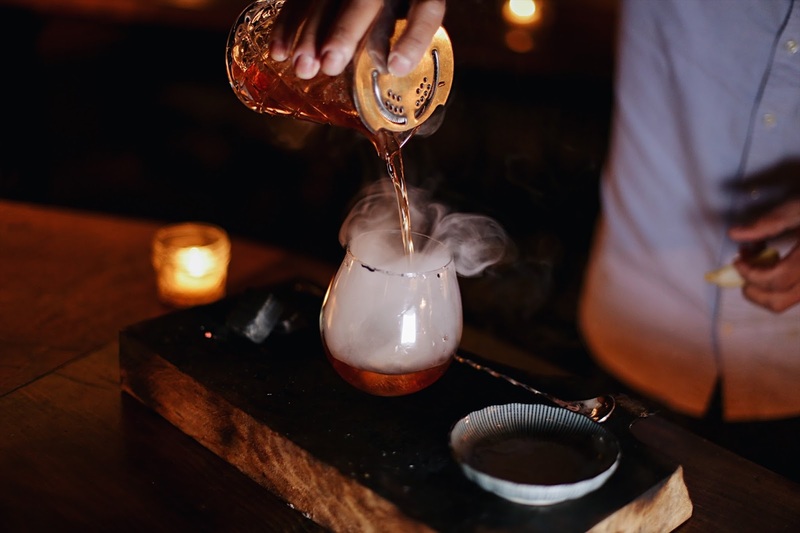 The drink is made table-side by igniting a small block of black walnut wood (repurposed from the leftover materials of their bar top) and using the smoke to fill the glass then pour in a concoction of Woodford Reserve, cherry heering maraschino, and sichuan peppercorn. Love & Salt - "#INEEDCOFFEE"
The best coffee cocktail you will have in LA coincidentally is one of the best whiskey cocktails too. Finally a drink that will appease a coffee snob and a cocktail connoisseur. 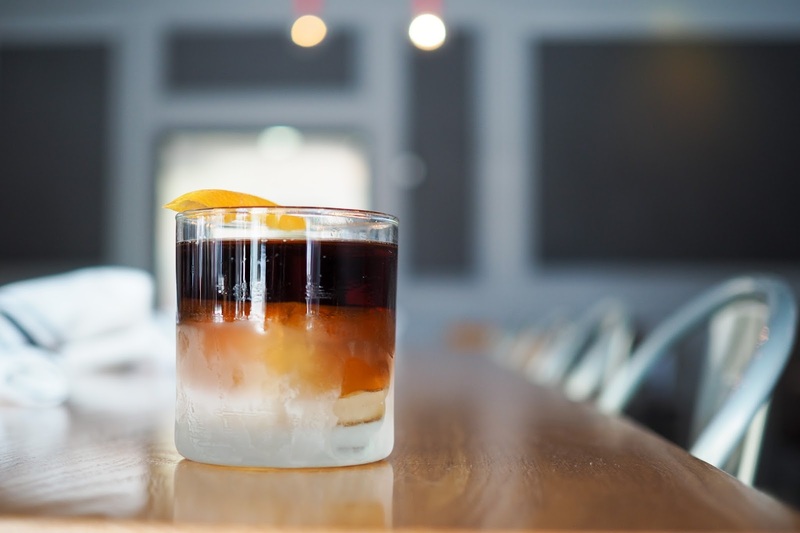 The appropriately named "#INEEDCOFFEE" at Love & Salt in Manhattan Beach, is made up of bourbon, amaro nomino, cold brew coffee and cream. It's only fitting that this magical concoction was made by master barman Vincenzo Marianella (Copa d'Oro, The Independence).